In the early 1990’s, Seattle began a neighborhood planning effort that spanned 38 Seattle neighborhoods. The plans provided the City with direction on a broad range of subjects important to the neighborhoods, which would be incorporated into the City’s Comprehensive Plan. The North Rainier Neighborhood Plan was completed in 1999. During the process, the City recognized the North Rainier Neighborhood as one of the most diverse neighborhoods in the City. City Council Resolution 31204; North Rainier Baseline Report, City of Seattle, p. 2 (Demographic Summary). In 2009, the North Rainier Neighborhood Plan was updated to take into account changed circumstances, including the new light link rail service. The update process engaged a broad cross section of the community. This update resulted in revisions to the Neighborhood Plan, which were reflected in Comprehensive Plan amendments adopted by the City Council. Comprehensive Plan, Neighborhood Planning Element, Section B-21, and the North Rainier Neighborhood Plan Update. A central theme of the Neighborhood Plan was the creation of a vital, pedestrian friendly, “transit oriented development” within the Town Center. Seattle Comprehensive Plan, Sec. B-21 (including NR-P1). The Mount Baker Town Center was envisioned as a vibrant neighborhood core, with open space and parks, and development standards to accommodate a vibrant pedestrian environment for people of all ages and abilities. Seattle Comprehensive Plan, North Rainier Element; North Rainier Neighborhood Plan Update, Goals 6 and 8; and Urban Design Framework for Mount Baker Town Center, p. 5. These goals and policies were needed to help make the Town Center the “heart of the neighborhood” — an inviting and livable place, where people could gather and engage in physical activity. North Rainier Neighborhood Plan Update, Strategy 8.2; North Rainier Neighborhood Plan, p. 57 (1999). The Town Center was to help the blighted area achieve qualities enjoyed by other more affluent Seattle neighborhoods, “where public places and open spaces help create a sense of identity and welcome.” Ordinance 124513 (high density rezone at Mount Baker Town Center), p. 5. The plan was to create a sense of place inviting and attractive to residents and to badly needed economic development. Sadly, the vision and promise of the North Rainier neighborhood has not yet materialized. 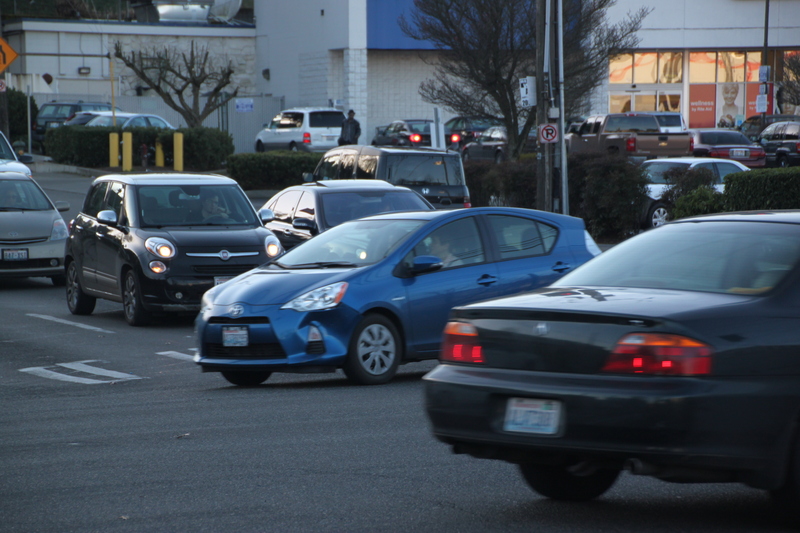 As the City invests millions at other more successful neighborhoods and light link stations, the Mount Baker transit area continues to languish. An amazing ArtSpace building sits at ground zero. Half the commercial space is empty, and the other half is filled with exciting new businesses and galleries. Above is a new residential community, populated by a vanguard of residents and families making a go at life in our newest new town center. But it isn’t easy. The area that remains dangerous and uninviting. The vibrant businesses are struggling. Has the train left the Mount Baker station? Perhaps not. We are excited to see SDOT returning to the station with its Accessible Mount Baker project, with an open house on Thursday March 26, 6 pm at King’s Hall behind the light link station. The Mayor is announcing new funding for major investments to solve the City’s infrastructure deficits. Will Mount Baker Town Center make the list? We hope so. The Mayor’s call for equitable investment in our community is a theme that rings loudly in the ears of those trying to live and work at Mount Baker Town Center. We welcome the City and other leaders to work together and focus the investment long over due in a Town Center that still only exists on paper, and in the unrealized dreams of the neighborhood planning process.